Based on a solar system being located in the Northern Hemisphere the following is true. The sun path is basically an arch through the sky. The sun will rise in the east and set in the west. 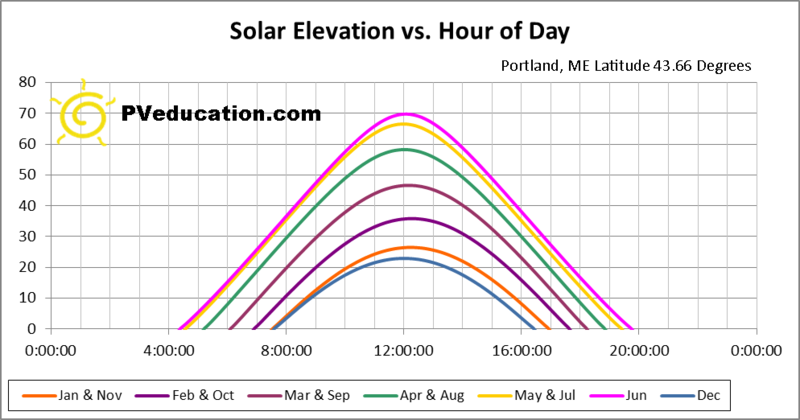 At solar noon the sun is at its highest peak on the sun path arch. 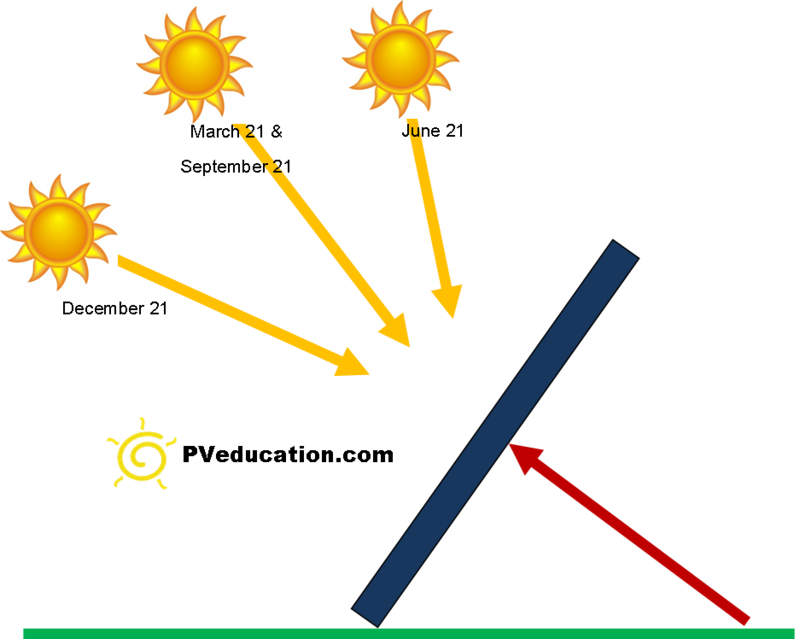 At lower latitudes the sun will be higher in the sky then if you are located at a higher latitude. The following are some images to illustrate the sun’s path through out the year. 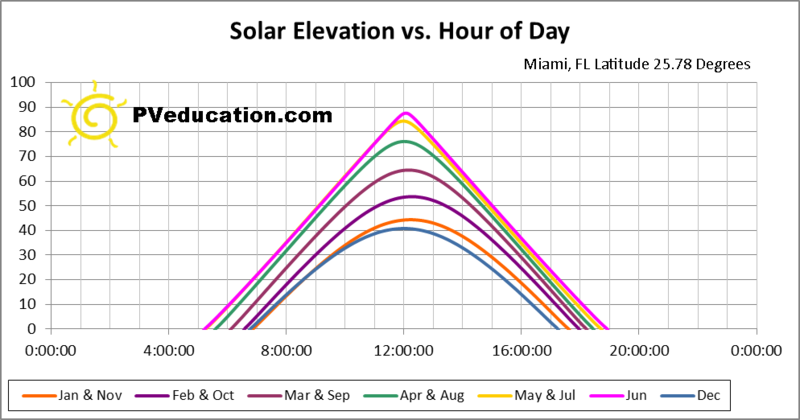 As you can see the hour of the day and the month clearly relates to the sun path. Each of the following was generated based on the 21st day of each month shown. 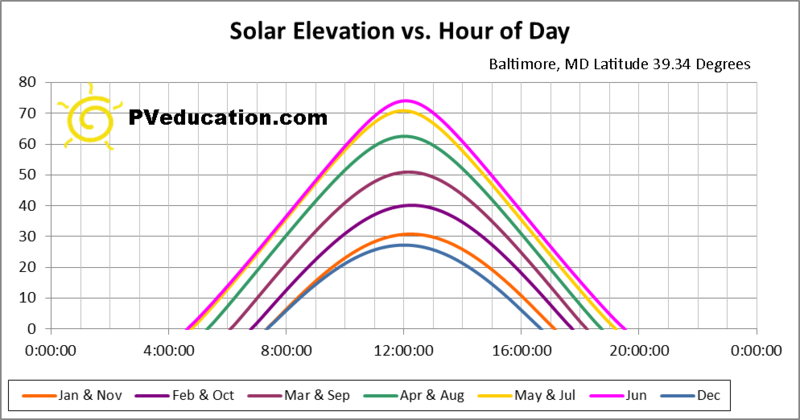 Each of the following three example is based on a location with a different latitude so please note how the peak solar elevations change.